Porcuprints » Crafty Wonderland Tomorrow!! Home » Crafty Wonderland Tomorrow!! 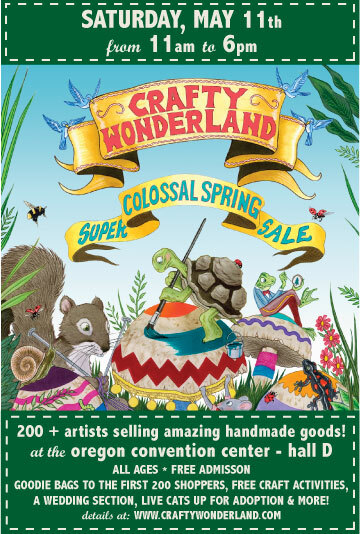 Crafty Wonderland’s Super Colossal Spring Sale is happening tomorrow, Saturday May 11th! I will be there with all my prints and cards and even my Kelsey press (if you want to feel what a real letterpress is like!). Porcuprints is booth #159, so swing on by. As an added incentive, the first 200 shoppers will receive goodie bags with awesome free stuff from the vendors! ← My C&P Turns 100 this year! 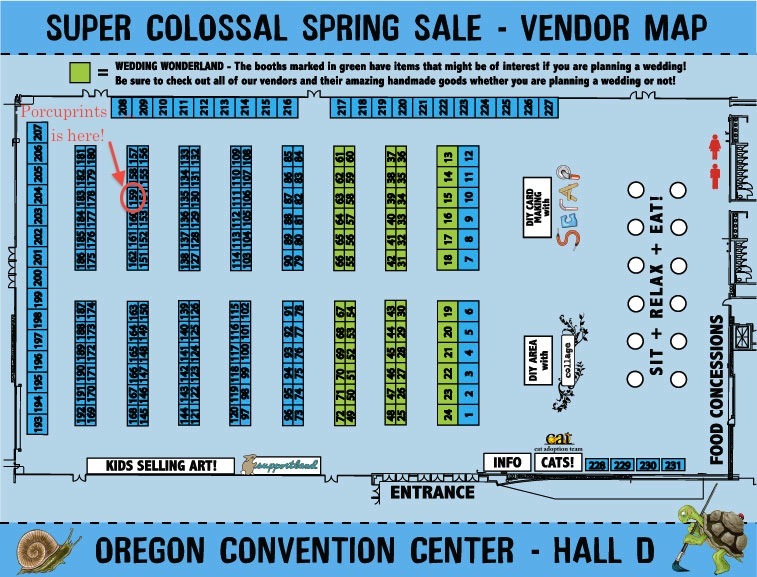 That is awesome that you will have a booth at Crafty Wonderland. It’s kinda unbelievable that your press will be there, too! Here’s wishing you a great and fruitful weekend. Thanks! I will certainly blog all about it!